If you’re interested in a throwing party for your taste buds, try these. I used a tart granny smith apple…because I wanted the tart flavor, but I think a sweeter variety could work with these too. 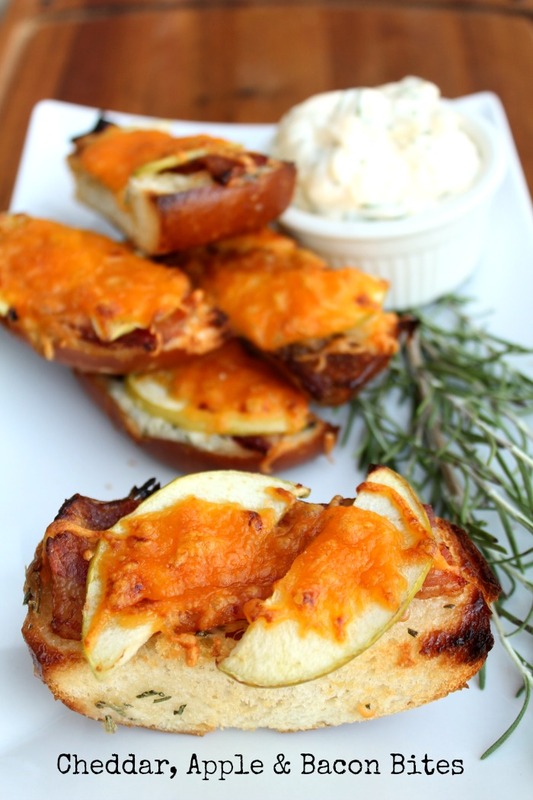 Bacon + cheese + apple + garlic rosemary spread + pretzel bun. Excuse me while I head back in for the taste bud party. Did someone say bacon?! On a pretzel bun?! 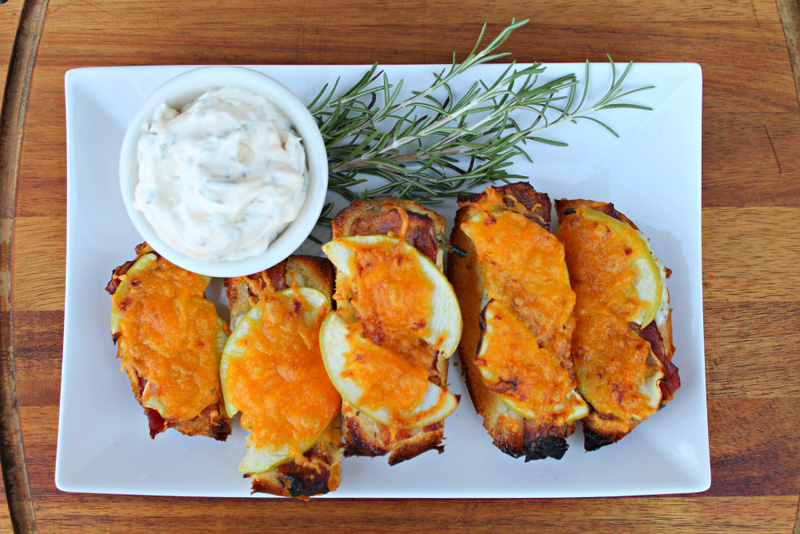 These are a fantastic Fall appetizer, or would make a delicious lunch or even dinner! Heat oven to 400 degrees and cover baking sheet with aluminum foil. Cut each bun into thirds. This will create 3 tops and 3 bottoms per bun. So now you have a total of 12 pieces from the two buns. Spread dressing liberally over each bread piece. Set aside any remaining dressing. Lay the bread with dressing side up on foiled lined baking sheet. Onto each slice of bread layer bacon, apple, and cheese. Bake at 400 degrees for 4 – 6 minutes or until bread edges are slightly brown.